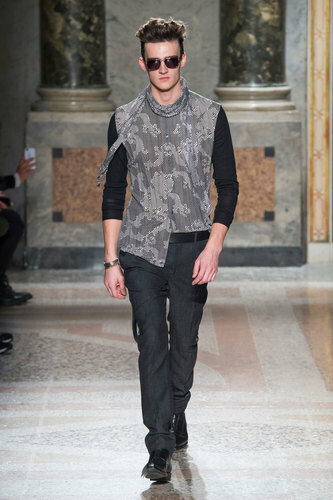 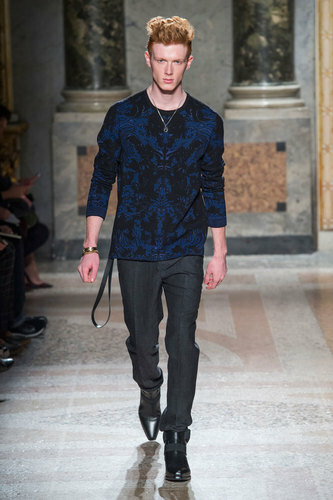 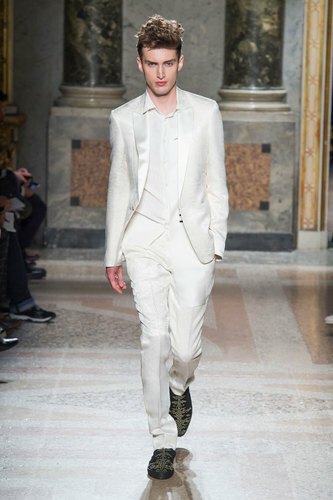 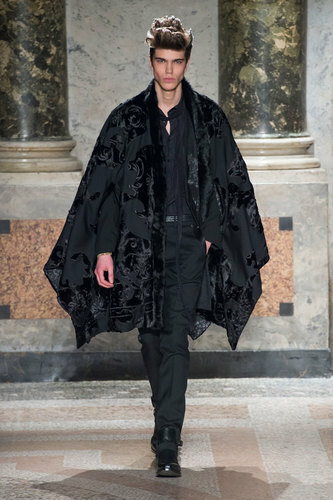 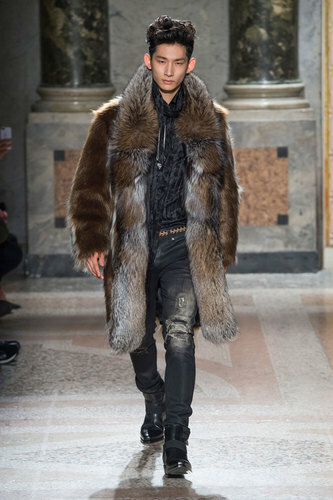 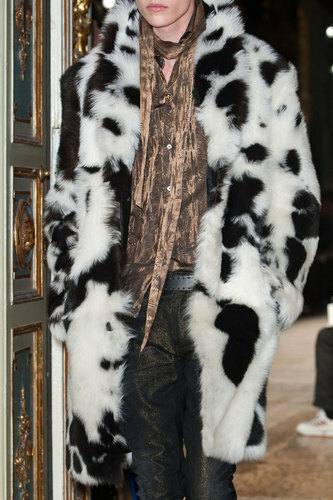 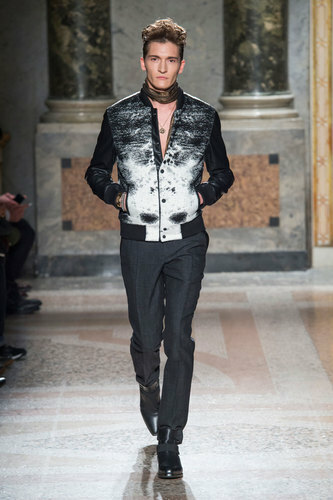 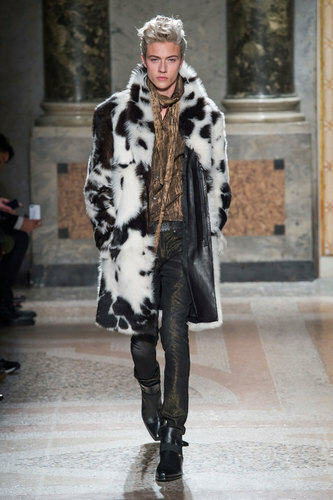 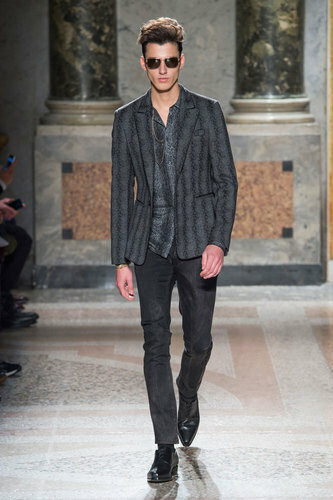 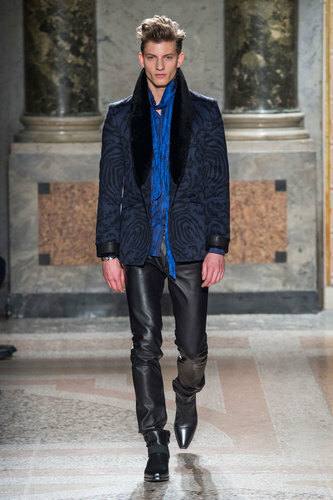 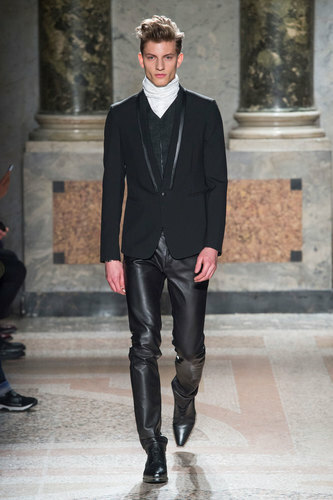 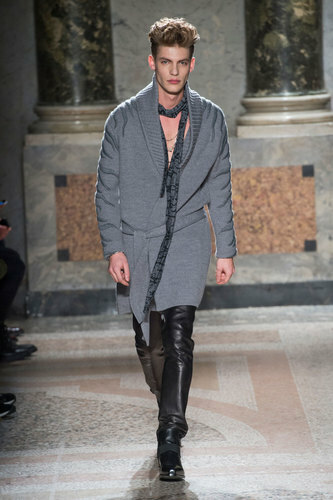 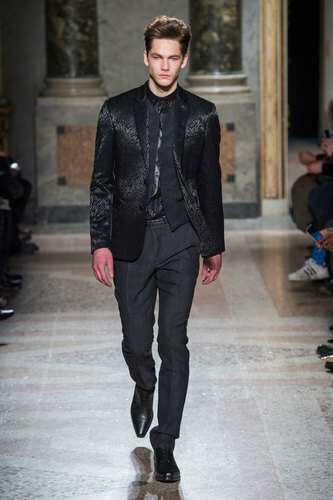 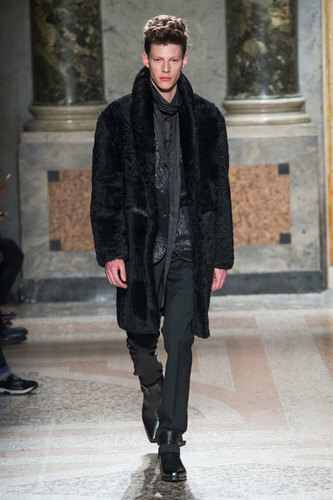 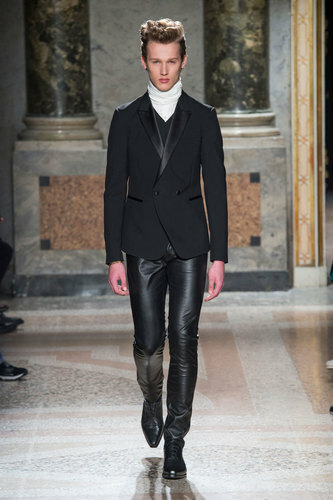 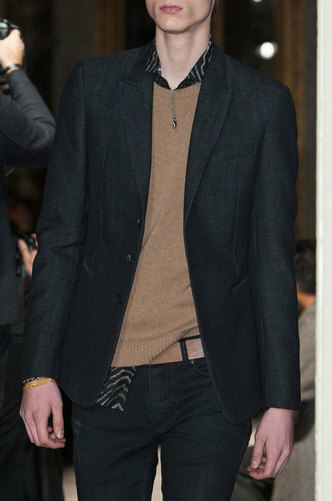 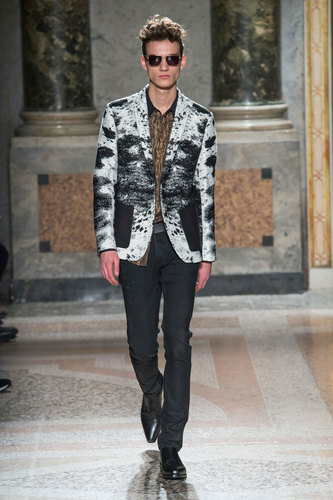 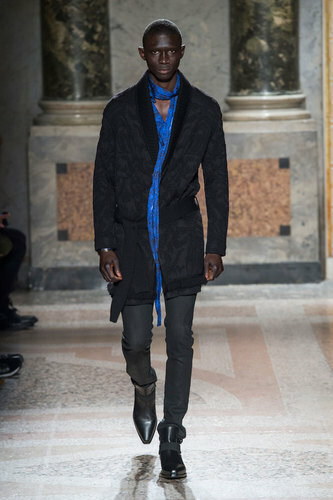 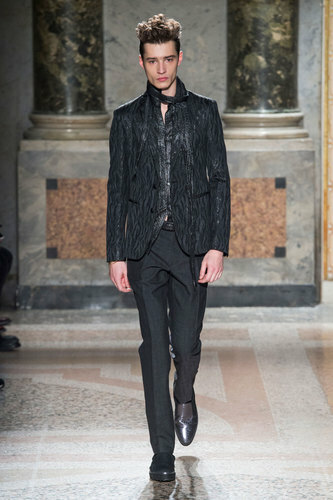 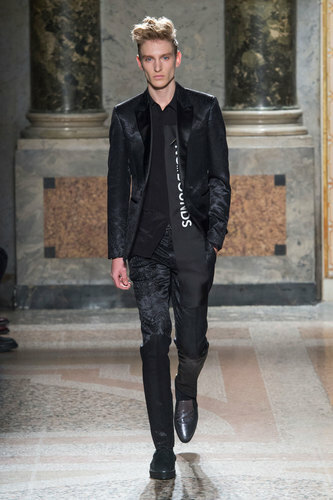 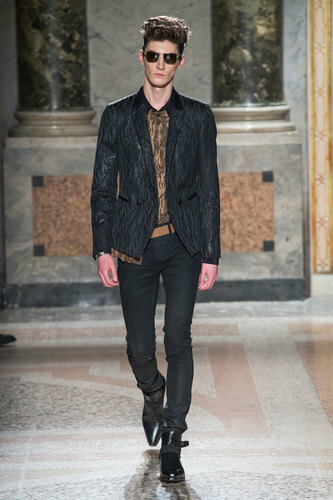 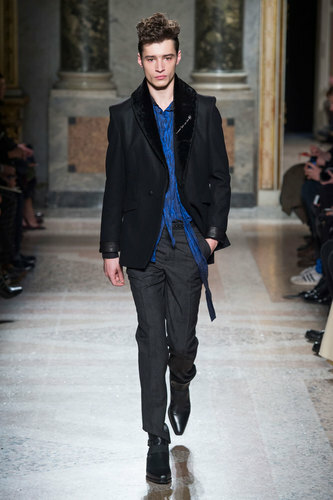 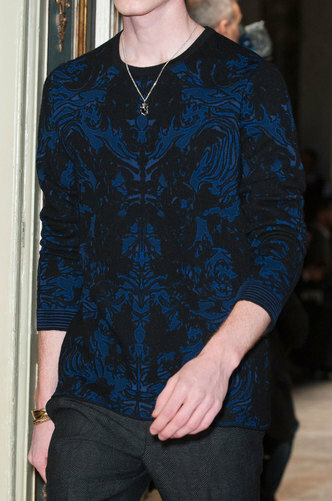 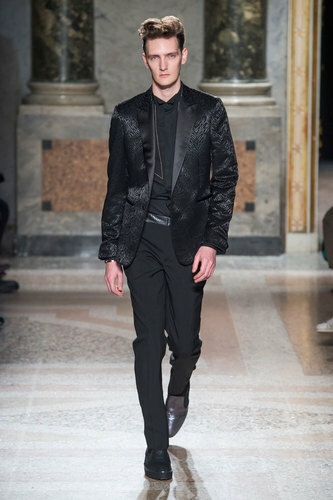 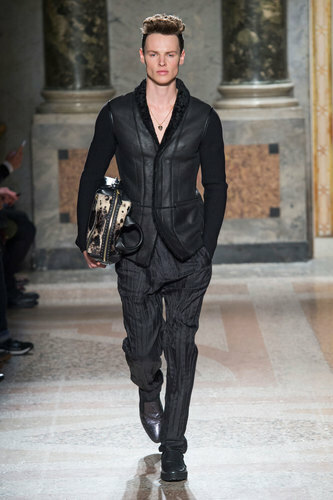 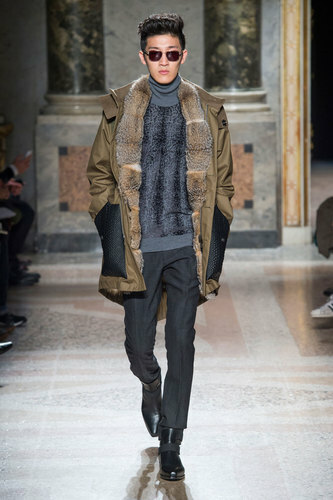 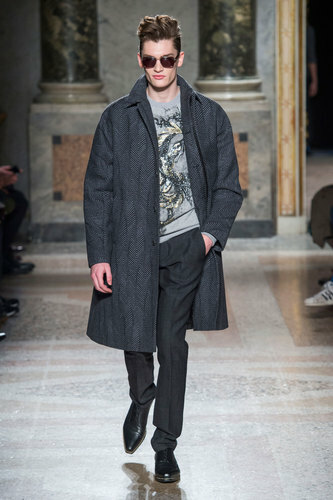 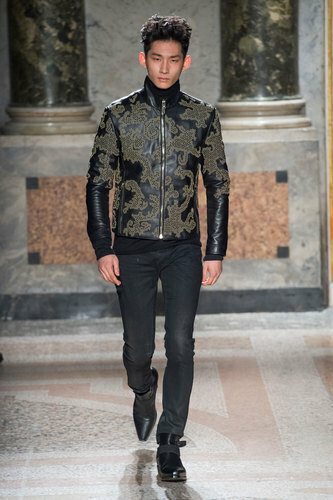 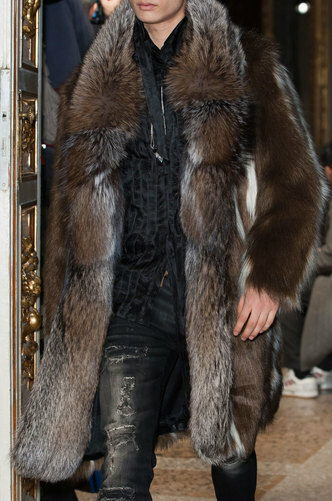 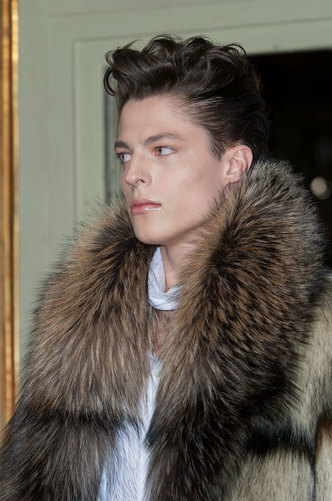 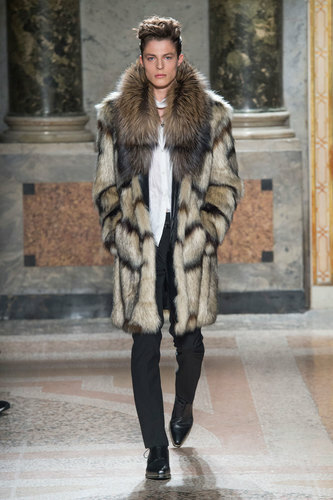 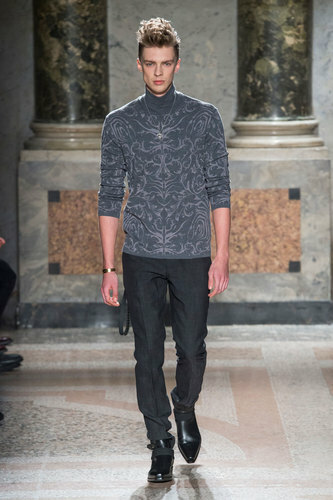 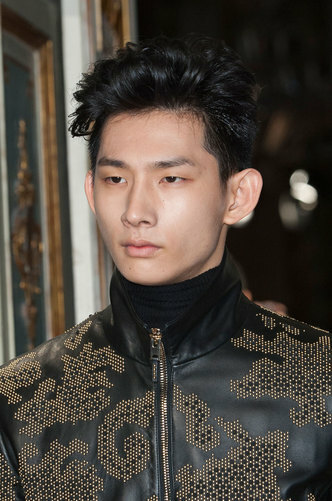 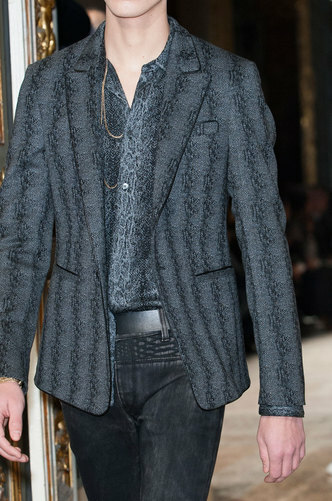 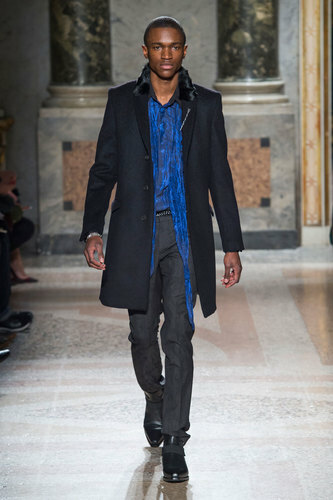 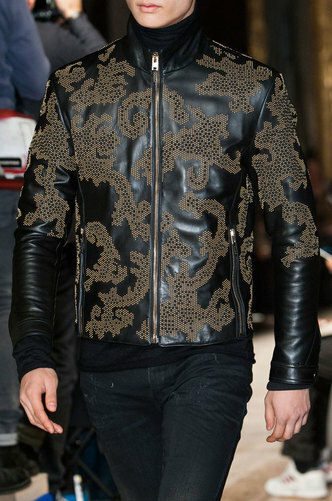 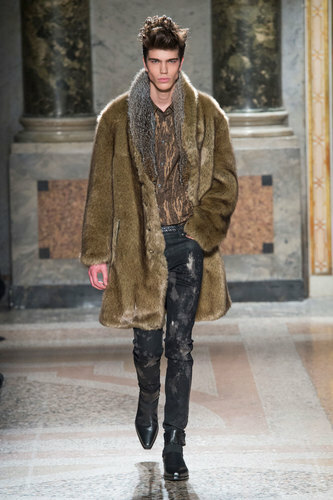 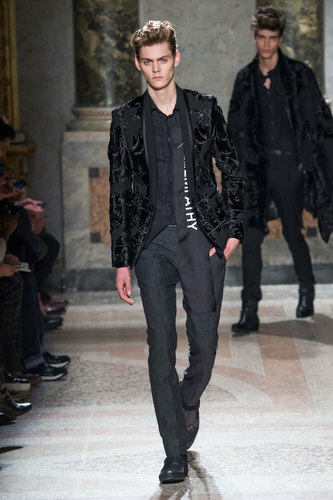 Roberto Cavalli Man Autumn-Winter 2015-16 – Roberto Cavalli settled his new collection in a beautiful 18th century building with a scenario of chandeliers and marbles. 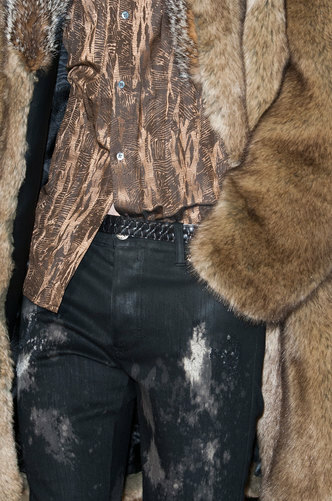 The looks are clearly inspired by Mick Jagger or Steve Tyler: skinny pants, leather, fur dramatic coats, short blazers are obvious details that refer to these two music icons. 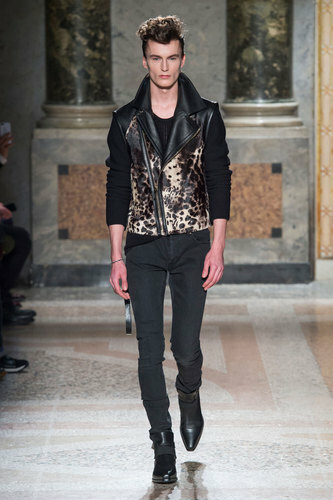 The typical animal print of the brand is present but, surprisingly, it does not represent the main theme of this show. 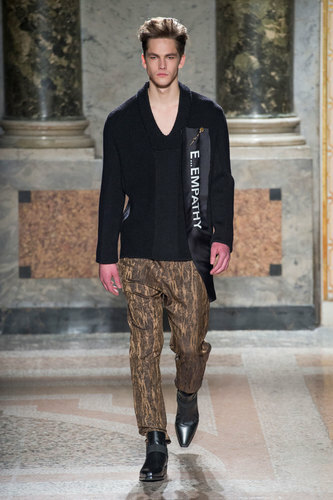 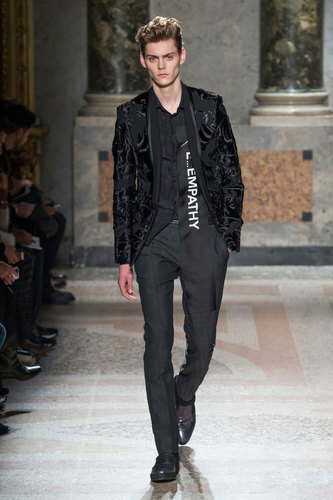 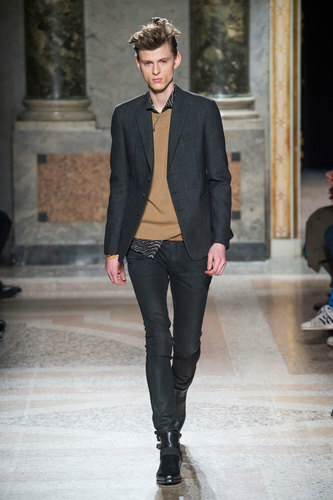 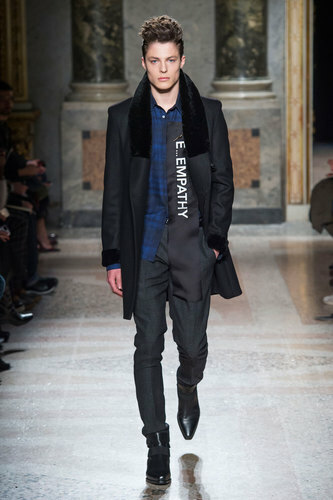 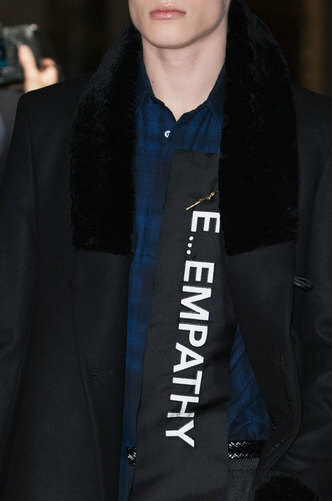 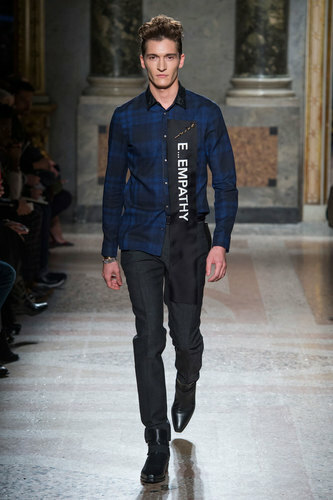 Cavalli decides to write statements such as “ empathy” or “no bounds” on sashes pinned on various outfits. 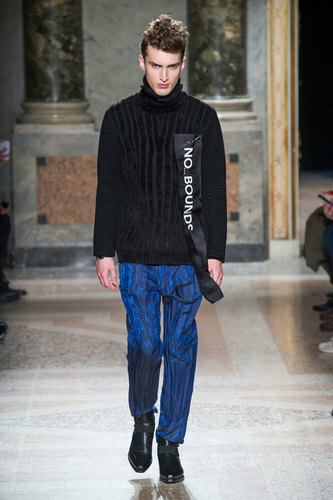 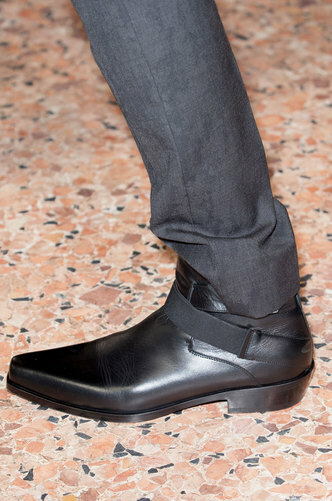 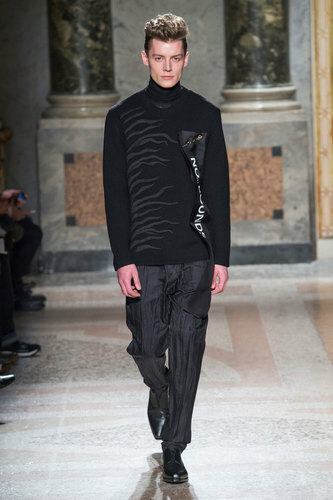 Probably the Italian designer wants to declare his new approach to fashion and style : no strings attached to the past and understanding of the present. 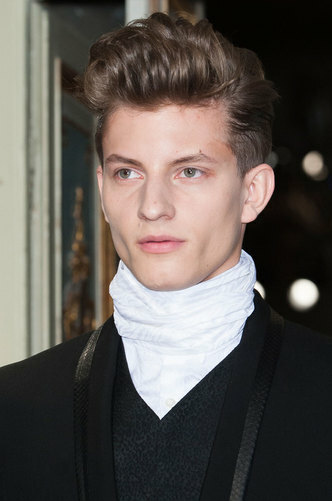 He is not afraid of changes and he does not apologize for his recent proposals.